Friday's meetings at Doncaster and Huntingdon will have to pass morning inspections, with Doncaster checking at 7.30am and Huntingdon at 8am on the morning of racing to decide if their mettings will go ahead. 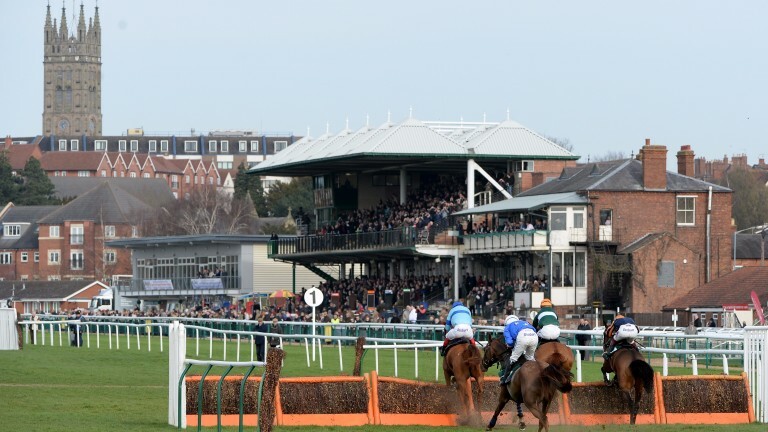 Doncaster clerk of the course Roderick Duncan said: "The risk is more from the possible snowfall in the early hours than from the temperature on -2C. With the covers down we should be able to cope with the frost okay, it just depends on if and how much snow we get. "Temperatures rise quite well later on Friday with 5C or 6C by late afternoon amd it is forecast to remain above freezing overnight into Saturday, with an 80 per cent chance of rain early Saturday morning. "Some forecasts are now saying that could be 7mm. We are good now and it is difficult to know how that will progress under trhe covers and with cold, breezy conditions today." Jack Pryor, clerk of the course at Huntindgon, said: "We are confident currently. We haven't got any frost in the ground this morning. "The reason for the inspection is that it's not due to get very warm today and the wind chill is supposed to be quite low so there is a slight risk we could get some frost during the day, which would cause us a bit of an issue. "But at the moment we're in a good position and we're hopeful racing will go ahead."